Lengths Available: 10” - 26"
Made from superior 100% Chinese remy hair which has a natural higher density than any other origin, these extensions offer incredible strength. The fully intact cuticles are aligned to make them easy to care for, with minimal tangling, and they’ll stay in good condition for up to 8 months. 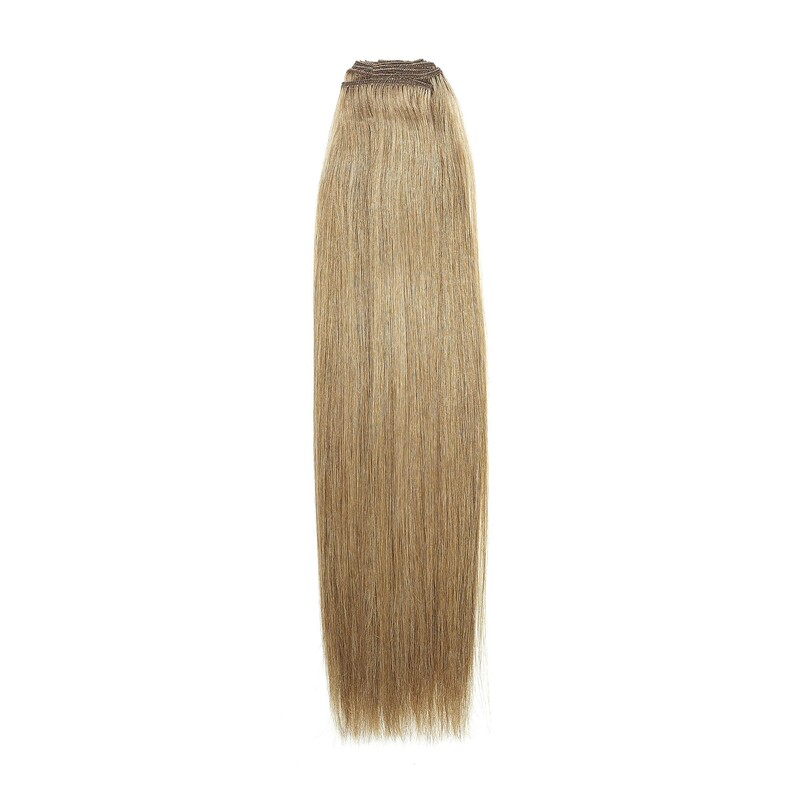 These Chinese Remy wefts are 100g in weight and are available in lengths 10” - 26”. These are Silky Straight in Style. These extensions have a hand wefted top end for an extremely flat finish. What’s Special about American Dreams ICONIC Grade? The pure Remy properties of Iconic Grade Extensions offer Beautiful, thick, Glamour and Gloss, combines with strength, straight and sleek, they hold their natural alignment even after several washes.